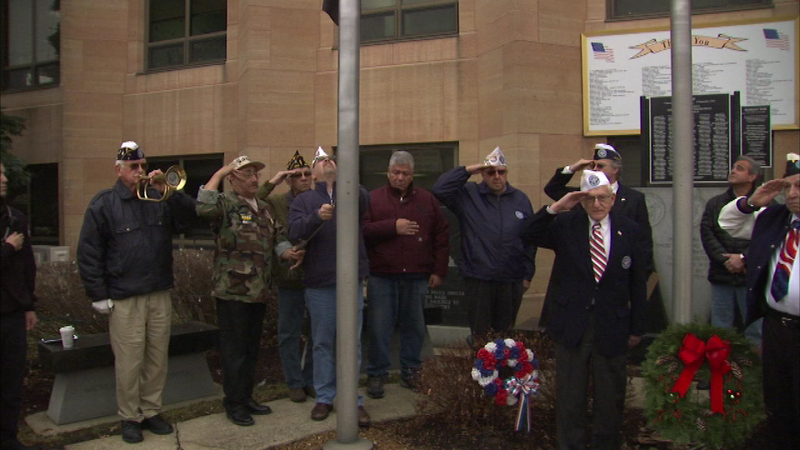 BERWYN, Ill. (WLS) -- Monday marks 74 years since the attack on Pearl Harbor and in Berwyn, veterans honored those who lost their lives that day. The Combined Veterans of Berwyn held their Ceremony of Remembrance at City Hall, where members laid a wreath at its World War II memorial. On Dec. 7, 1941, Japan's navy and air force launched a surprise attack on Pearl Harbor in Hawaii, killing more than 2,400 Americans and drawing America into World War II.